In order to maximize horsepower, it is critical that camshafts are set at the proper position relative to crankshaft position. Skunk2 cam gears enable serious tuners to optimize horsepower and torque by adjusting camshaft timing, and to place power where they need it most. Using the laser etched timing and directional marks, precise camshaft adjustments can be made quickly and easily. Skunk2 cam gears feature CNC precision machined and hard anodized teeth to reduce premature wear; Skunk2’s signature 6-bolt design eliminates any chance of the gear slipping. Skunk2’s lightweight designs reduce rotational inertia resulting in increased engine response and acceleration. 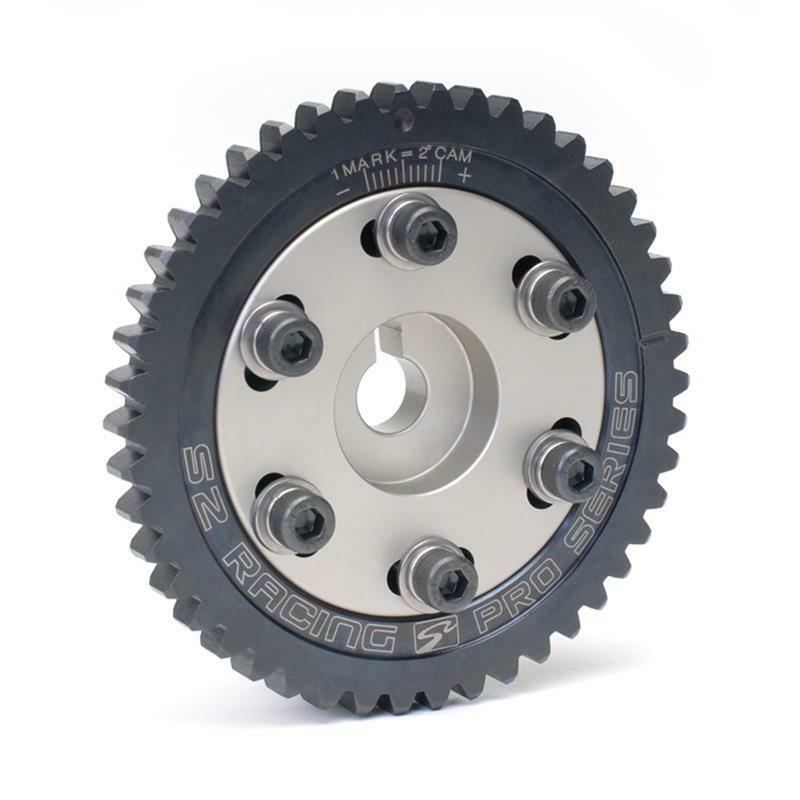 Skunk2 cam gears have been proven on racecars in the most extreme conditions for over a decade. Pro-Series cam gears feature a super lightweight design and are CNC machined from 7075-T6 billet aluminum. Each gear has laser etched timing marks with +/-10 cam degrees of adjustment and feature Skunk2’s proven 6-bolt design. The outer gear is hard anodized for durability and the center hub is Titanium anodized for that racing look. 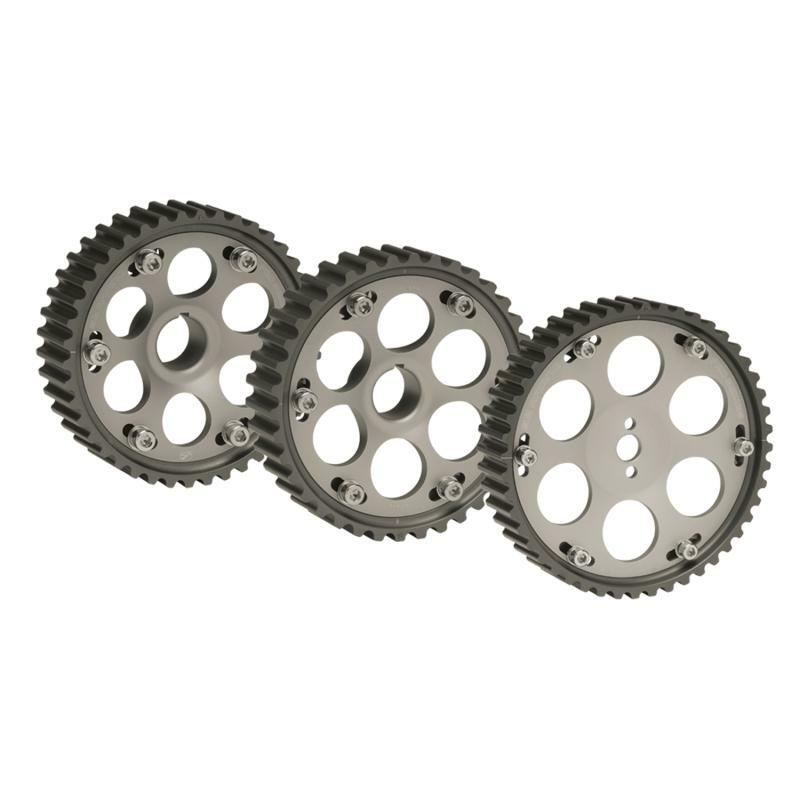 Pro-Series cam gears are 5% lighter than our already ultra-lightweight Tuner Series cam gears.